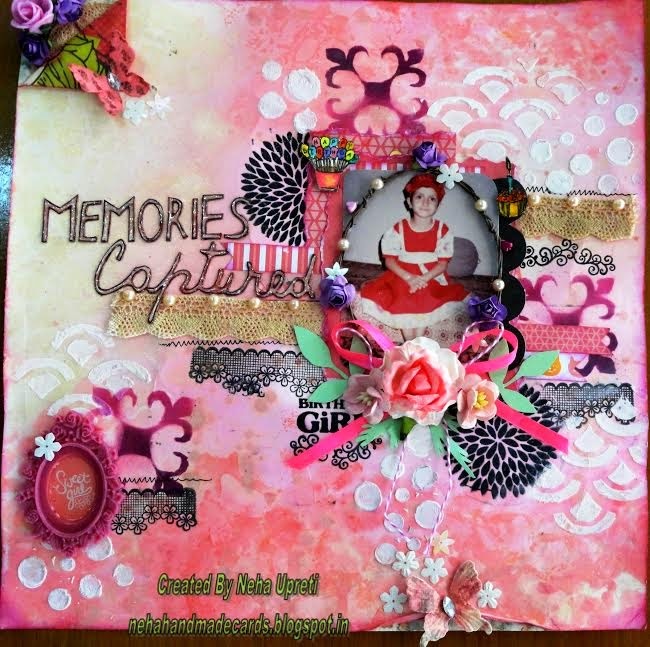 Lulupu - The Craft Lounge: Guest Designer- Neha Upreti with a Layout Tutorial !! Guest Designer- Neha Upreti with a Layout Tutorial !! This is Hussena here, and I am very happy to introduce our Guest designer for the first half of this month and it's the very talented crafter, Neha Upreti! 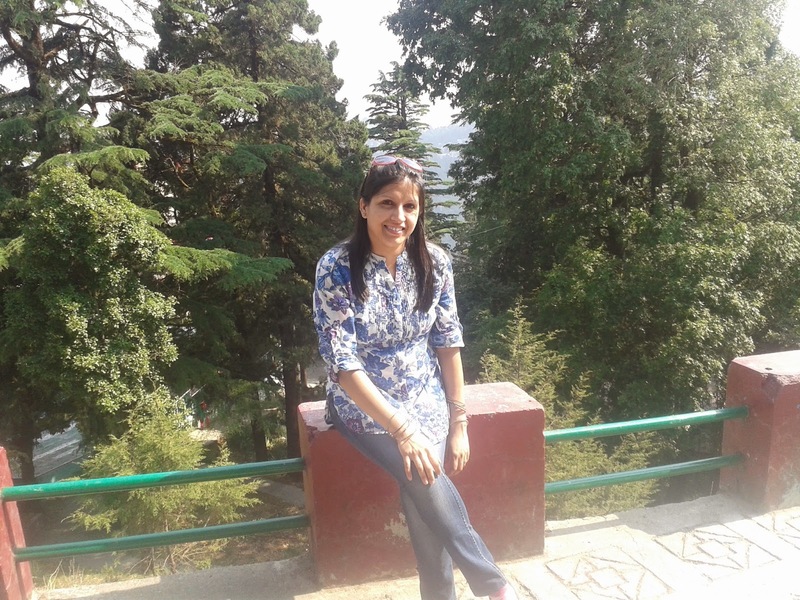 Neha, is a relatively new blogger and a consistent player of the Lulupu challenges. Her work is very fresh and her attention to details, gorgeous! She has been doing an awesome job with Mixed Media layouts and card-making as well, and we are really elated that she agreed to guest design for us this month, and what's more, she's already shared a step-by-step tutorial on how to make a Mixed Media LO. So, over to Neha and here's to what she has to say about herself. 2. Make a rough sketch of the layout as it makes the job much easier. 2. Stamp and fussy cut some images. 3. Once satisfied with the background start layering and assembling the picture and other embellishments. Here I have added lace and used torn PPs as base for photograph. Embellish the layout with flowers, sequins, butterflies, ribbon and twine bow, flat back pearls and stamped images. I have also used oval resin frame over a die cut. I also fold the paper at top left corner and added lace and some flowers. Once all the arrangement and embellishing is done your layout is complete. I hope you liked the tutorial and found it useful and inspiring. WOW! Isn't Neha's layout beautiful ?! Thank you so much for this step-by-step tutorial, Neha. The way you have taken so many elements and brought them together so effortlessly resulting in this perfect layout and what a stunning background you have created using Stencils and Modelling paste! We really love it. Super striking, Neha! Thanks for the step by step. Beautiful mixed media layout, Neha. Thanks for the bingo challenge inspiration. Congrats on your Guest post Neha ! I loved the pictorial and the pretty Lo !